Attracting foreign investment has been a priority for the Russian government since the country took its first steps towards developing a market economy in 1991. During the past few decades, consistent legislative and administrative measures have been taken to improve the investment climate and provide guarantees and protection for foreign companies undertaking business in Russia. This trend remains effective and has been maintained by the government within the period of mutual economic sanctions, since investment in Russia is encouraged and supported despite the political alienation between Russia and European countries. After the economic crisis in 2008, when investment dropped to US$81 billion, the amount of investment had almost doubled by 2012, up to US$154 billion. The statistics for 2013 showed a rapid growth in foreign investment – up to US$170 billion.2 After a period of moderate growth, Russia's economy slowed again in 2014 following the introduction of sanctions against Russia and a drop in oil prices, which significantly affected the investment climate, although the overall macroeconomic situation remained favourable. In the first half of 2015, the Russian economy continued to founder, but during the second half of 2015 and 2016, there was a steady growth in the number of foreign investments. Thus, despite the imposition of sanctions and other politics-related issues, Russia remains one of the most attractive fields for investment and will continue its course of attracting foreign investment in the Russian market. European Union countries, in particular Cyprus, the Netherlands, Austria and Switzerland, remain the main investors in the Russian economy and its industry. Other major investors actively operating in the Russian market include Turkey, the United Kingdom, the United States, British Virgin Islands and the Bahamas.3 Furthermore, the flow of investments from Asian countries – in particular, China, Korea and Japan – is currently increasing significantly year on year, and Russia considers Asian countries as promising business partners in the field of mutual investments. The development of Russian legislation on foreign investments began in 1991, when the first law on foreign investments was enacted. 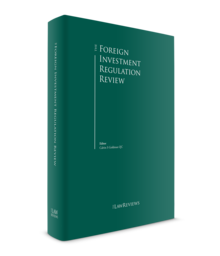 This was replaced in 1999 by the currently effective Federal Law 'On foreign investments in the Russian Federation' (the Foreign Investments Law).4 The Foreign Investments Law defines the status of a foreign investor, the legal regimes for foreign investments, and guarantees and benefits provided to foreign investors active in Russia. It contains provisions regulating the establishment and operation of companies with foreign investments and branch offices of foreign companies. The legal regime governing foreign investment is still developing. For example, some important provisions were adopted and entered into force on 1 July 2017.7 The aim of these amendments was to implement the de-offshorisation policy in the Russian economy, and considerably limit the range of entities that have the right to establish control over strategic companies. For example, transactions resulting in the establishment of control over strategic companies – not only by foreign states and international organisations and the organisations under their control, but also by offshore companies and companies under their control – were prohibited. A second set of amendments was adopted shortly afterwards, which came into force on 30 July 2017.8 This second set of amendments not only expanded the list of transactions requiring strategic investment clearance, but also provided some major changes in relation to the powers of the Government Commission. 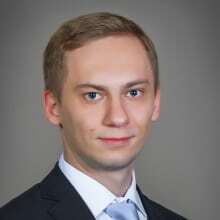 The trend on de-offshorisation has continued this year and the new set of amendments to the Strategic Investments Law entered into force on 12 June 2018.9 However, in comparison to the previous ones, these new provisions are, in general, aimed at liberalisation of access of foreign investments to strategic sectors of the Russian economy and at making the strategic clearance process clearer and more comfortable. controlling person: persons exercising control over other controlled persons (i.e., having a right, directly or indirectly, to dispose of more than 50 per cent, and the right to determine the decisions made by the controlled person, as enshrined in the Strategic Investments Law) of a foreign investor (including those registered in offshore jurisdictions). In addition to the foregoing, recent amendments expressly envisage a right for the Federal Antimonopoly Service of Russia (FAS Russia) to issue official clarifications as to the nature and application of the Strategic Investments Law that may facilitate the law enforcement process. Development of cooperation with foreign partners and the integration of Russia into the world economy was always one of the priorities of Russia's development. One of the main changes in Russia's position on the international scene is related to the creation of the Eurasian Economic Union (EEU). A treaty establishing the EEU was signed on 29 May 2014 by the leaders of Belarus, Kazakhstan and Russia, and came into force on 1 January 2015. Treaties aiming at Armenia's and Kyrgyzstan's accession to the EEU were signed on 9 October 2014 and 23 December 2014, respectively. Armenia's accession treaty came into force on 2 January 2015. Kyrgyzstan's accession treaty came into effect on 6 August 2015 and it participated in the EEU from the day of its establishment as an acceding state. The EEU represents the political and economic union based on the Customs Union of Belarus, Russia and Kazakhstan, which has an integrated single market of more than 186 million people and a gross domestic product of over US$4 trillion (PPP).10 The EEU is considered to be a major player in the world's energy sector, raw materials, the arms industry and agricultural production. The EEU is a new stage of integration, which introduces the free movement of goods, capital, services and people, and provides for common transport, agriculture and energy policies, with provisions for a single currency and greater integration in the future. The union operates through supranational and intergovernmental institutions. The Supreme Eurasian Economic Council is the Supreme Body of the Union, consisting of the heads of the Member States. The other supranational institutions are the Eurasian Commission (the executive body), the Eurasian Intergovernmental Council (consisting of the prime ministers of Member States) and the Court of the EEU (the judicial body). Another initiative has been suggested this year by the Head of FAS Russia, Igor Artemiev, that is aimed at cooperation and building up a dialogue between the competition authorities of countries all over the world – establishment of the Expert Centre for cooperation between the competition authorities of the BRICS countries,11 based at the Russian National Research University Higher School of Economics in Moscow. The Expert Centre will monitor major M&A transactions and elaborate common approaches to their assessment. Moreover, the Expert Centre shall support an information exchange between the competition authorities while considering multinational transactions. The special attention of the Expert Centre shall be dedicated to transactions implemented in IT markets. The competition authorities of BRICS countries will be able to decide independently whether or not to participate in the project and hold a joint assessment of the transactions. The proposal to establish the Expert Centre is not the first attempt to enhance cooperation related to competition policy within the BRICS countries. There already exists a coordinating committee on competition policy and a number of working groups studying different markets, such as IT and automotive, pharmaceuticals, food and agro-industrial markets, within the framework of BRICS. However, contrary to the previous forms of cooperation, the Expert Centre is going to be a permanent mechanism. The first results of the work by the Expert Centre will be one of the topics for discussion at the BRICS International Competition Conference, due to be held in Moscow in 2019. Representatives of the BRICS countries will analyse the experience gained by the Expert Centre and decide on the necessity of its continuing existence. The establishment of the Expert Centre reflects the willingness of the BRICS countries to harmonise approaches and to expand analytical capabilities. Since BRICS covers around 46 per cent of the global market, hardly any multinational transaction could avoid notification in at least one of the BRICS jurisdictions. In this regard, the approaches to be elaborated and used by the Expert Centre could significantly affect not only the national competition regulation, but a global merger control and foreign investments environment. Moreover, in order to facilitate the maintenance of conditions for attracting investment for the development of product markets and the Russian economy (and thus implementing the Decree of the President of the Russian Federation dated 21 December 2017 No. 618 'On State Competition Policy Guidelines'), the Foreign Investments Expert Centre was established within FAS Russia in July 2018. Experts and representatives from the business community are expected to become members of the Foreign Investments Expert Centre, and contribute to its main purpose, which is to get 'feedback' for the government, reflecting the actual needs of business and investors. In addition, priority areas of activity in investment analytics, identification and the elimination of legal and administrative barriers for investors for the Department for Control over Foreign Investments have been approved by the Head of the FAS. The second group of rules solely regulates foreign investments. The principal laws in this group are the Foreign Investments Law and the Strategic Investments Law. The second principal law is the Strategic Investments Law, which determines the procedures for foreign investments in strategic sectors of the Russian economy. A strategic clearance according to the Strategic Investments Law is required if the target company is incorporated in Russia and is active in one of the specified types of activities listed therein (such as activities in nuclear and radioactive materials, devices and waste; aviation and space; the natural resources sector; exploration and production of minerals on subsoil plots of federal value, and use of subsoil plots of federal value (the oil and gas sector); coding and cryptographic equipment; mass media and telecommunications; use of agents of infectious diseases (except by companies engaged in food production); or with a licence for conducting such an activity (a strategic company). Herewith, holding a licence is not a mandatory condition for a company to be deemed strategic. It is now enough that there are 'other permitting documents' enabling the company to engage in that type of activity. As a general rule, the list of activities stipulated by the Strategic Investments Law is exhaustive, therefore a foreign investor can easily check whether a potential target can be considered a strategic company. However, there is a special right of the chair of the Government Commission, at his or her own discretion, to present to the Government Commission for consideration transactions conducted by foreign investors with respect to practically any Russian business entity, not just a strategic one. First, transactions that might be of interest to the Russian prime minister and might be considered by the Government Commission, are transactions in respect of Russian companies not involved in implementing strategic activities, but in implementing activities that might be directly connected with the 47 activities of strategic importance. Second, the authorities' spheres of potential interest are large trans-border transactions, involving the transfer of assets or subsidiaries located in Russia, on which the economic defence of Russia might depend (for example, food, the pharmaceutical industry and the defence sector). Finally, the third category of transactions, which might potentially result in the heightened interest of the Russian prime minister and might be considered by the Government Commission, are transactions with public investors usually operating in different cultural and legal environments. In accordance with the Decree of the Government of the Russian Federation 'On the Government Commission executing control over foreign investment in the Russian Federation',21 the state body responsible for monitoring the foreign investments sector is FAS Russia. The Government Commission considers submitted notifications of transactions and decides whether there is a threat to national security and defence. In the banking sector, the acquisition of 10 per cent or more of the shares in a Russian credit organisation is subject to prior approval by the Central Bank of Russia, and acquisition of more than 1 per cent but less than 10 per cent requires a post-transaction notification. In the insurance sector, a Russian insurance organisation must receive prior approval to increase its authorised capital by means of foreign funds and to assign its shares to a foreign investor. Its shareholders must receive prior approval for the assignment of their shares to foreign investors. In the mass media sector, foreign investors cannot own more than 20 per cent of shares (participatory interests) in the Russian mass media. Moreover, foreign investors and foreign legal entities, Russian citizens with dual citizenship and stateless persons cannot be founders of mass media entities. Generally, there are three legal forms of foreign investment in Russia: legal entities (limited liability companies (LLCs), joint-stock companies or partnerships), including joint ventures (JVs), branches and representative offices, and legal investment contracts. In recent years, it has become quite common for foreign investors to conduct business in Russia by forming a JV with a Russian partner who is more familiar with the local rules and customary business practices, and has significant business experience in the Russian market. Until recently, the prevailing tendency has been to use offshore structures for the creation of JVs, and to govern shareholders' agreements by a foreign law (mostly English) because foreign law provides for a wide range of protection mechanisms and remedies. 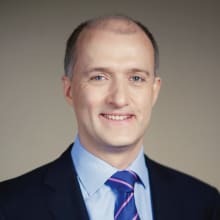 Nevertheless, Russian law has lately become more widely used for JV creation, owing to certain positive legislative and law enforcement changes, including the fact that it now allows the conclusion of shareholders' agreements governed by Russian law, and it is now possible to limit the right of participants in Russian LLCs to withdraw from the company, which makes the LLC a more stable and convenient form for establishing a JV. Thus, since 5 January 2016, all JV agreements concluded between competitors (including actual or potential competitors) that have combined assets of more than 7 billion roubles or combined revenues of more than 10 billion roubles have been subject to pre-completion clearance with FAS Russia if the agreement is concluded in relation to the territory of the Russian Federation.23 In this regard, three possible situations regarding the pre-transaction clearance of JV agreements might be considered. more than 50 per cent of the shares of a foreign company supplying products (or services) to Russia in an amount exceeding 1 billion roubles during the calendar year preceding the date of execution of the transaction. supplied products (or services) to Russia in an amount exceeding 1 billion roubles during the year preceding the transaction. 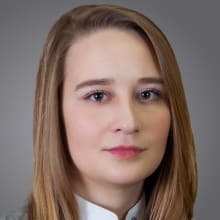 As a general rule, all JV agreements that may influence the state of competition in Russia are subject to obligatory merger clearance if the assets or turnover thresholds are met. That said, conclusion of a JV agreement with the formation of a new entity, with participation in an existing one or without formation of a new entity might trigger the filing obligation if the JV is supposed to have activities in Russia. If JV agreements concluded between competitors do not formally require pre-completion clearance by FAS Russia, parties to the JV have a right to submit a voluntary application to FAS Russia to verify that the JV is compliant with Russian anti-monopoly legislation, and to mitigate the risk of its qualification as an anticompetitive agreement. In accordance with the Clarifications 'On procedure and methods of analysis of JV agreements' issued by FAS Russia on 8 August 2013,24 a JV agreement cannot be recognised as admissible if the purpose of the agreement is a restriction of competition. The Clarifications provide a rebuttable presumption that JV agreements envisaging a refusal of competition on the same or related markets are potentially anticompetitive and may lead to a restriction of competition. Post-transaction notification may still apply in a very limited number of cases; for example, to certain intra-group transactions, provided that the company discloses its group on the official competition authority website. the right to appoint an individual executive body and (or) more than 50 per cent of a collegial executive body or board of directors (or supervisory board) of a strategic company. the right to appoint an individual executive body and (or) more than 25 per cent of a collegial executive body or board of directors (supervisory board) of the strategic company. acquisition of fixed productive assets of strategic companies, the balance sheet value of which exceeds 25 per cent of all fixed productive assets of the transferring company. Subsequent control is maintained through notification on possession of 5 per cent or more of the shares (participatory shares) constituting the authorised capital of the strategic company. Regarding the post-transaction notification, this should be submitted to the authority within 45 calendar days of the date of the transaction closing. Post-transaction notification should be considered within 30 days of the date of submission of the relevant documents. Once the results of the notification have been submitted to the FAS, a special notice is granted, acknowledging that notification of the transaction has been taken into account. Additionally, foreign investors or groups of persons are obliged to submit post-completion notification to the authority and inform the authority of implementation of the transaction or other actions for which preliminary consent was granted. other abilities to block the decisions made by managerial bodies of the commercial organisations. In practice, however, the notifications made under the Foreign Investments Law are not reviewed by the Government Commission, unless the target is a strategic company (and therefore, subject to separate filing under the Strategic Investments Law). Generally, prior to implementation of the transaction leading to establishment of direct or indirect control over a strategic company, a foreign investor should obtain the approval of the Government Commission. Preliminary proceedings are held by FAS Russia and other state bodies. Furthermore, the Strategic Investments Law provides the option to recognise a transaction as strategic if the chair of the Government Commission (i.e., the Russian prime minister), at his or her own discretion, believes that this transaction might influence national security and the defence of Russia. According to this option, within five business days of the date the Russian competition authority becomes aware of a transaction by a foreign investor with respect to a Russian entity, it shall send requests to provide information about the forthcoming transaction to the Russian prime minister, the federal authorities, or other organisations responsible for the implementation of national policy and statutory regulation in the sphere in which the Russian entity is involved. Within the next 15 business days, addressees shall submit their suggestions to FAS Russia as to whether the transaction shall be considered under the specific procedure, requires strategic clearance and is of strategic importance for Russia. If the Russian prime minister makes a decision about the necessity of securing preliminary clearance of the transaction, FAS Russia shall inform the foreign investor of that decision within three business days. Moreover, the law proposes to set out the Government Commission's powers to determine any obligations to be imposed on foreign investors as conditions for prior approval of a transaction that it considers necessary to safeguard national defence and state security. Although the list of these obligations in the previous version of the Strategic Investments Law was exhaustive, foreign investors themselves could nonetheless propose to the Government Commission obligations that were not on the list and state that they were prepared to undertake to complete a transactions and could include them in the agreement concluded with FAS Russia. In accordance with the latest amendments, however, as introduced in 2018, the Government Commission may now impose any obligations, even those not listed in the Strategic Investments Law, fulfilment of which is related to maintaining national security and defence. In other words, the list of obligations is not exhaustive. An application is submitted to FAS Russia, which works as a 'secretary', checking all the documents, coordinating agencies and preparing a draft of the decision for the Government Commission. Altogether, the compliance procedure takes between three and six months from the moment of submitting the application. In the event of failure to observe the legal rules with respect to clearance of the transactions and notification of the authorities of the transactions implemented, civil and administrative liabilities will apply. Violation of the filing obligations (failure to notify within the required time limits, such as by submitting misleading information to FAS Russia, failure to provide required information, or failure to comply with the FAS Russia ruling), as well as closing the transaction without clearance by FAS Russia, may result in the imposition of an administrative fine of up to 500,000 roubles on the acquirer. Administrative liability in the form of a fine of up to 20,000 roubles may be also imposed on the chief executive officer of the acquirer. If a transaction implemented without clearance by FAS Russia could, or does, result in the restriction of competition in Russia (including, without limitation, the strengthening of a dominant position), FAS Russia may file a lawsuit. A competent state court may declare the transaction invalid and, as a result, reverse the transaction. Transactions executed in breach of the Strategic Investments Law are null and void. If it is not possible to apply the consequences of invalidity on a void transaction, the state court may, upon a lawsuit brought by FAS Russia, adopt a decision to deprive the foreign investor of its right to vote at a meeting of the shareholders' (participants') of the strategic company, or to invalidate those decisions of the management bodies of the strategic company adopted after the establishment of control in breach of the Strategic Investments Law. A foreign investor might also face an administrative fine of up to 1 million roubles for failure to obtain preliminary approval or notify the transaction in accordance with the Strategic Investments Law. The following case is a recent example of the courts voiding transactions concluded without obtaining clearance under the Strategic Investments Law. In April 2017, FAS Russia initiated judicial proceedings to invalidate transactions that had established control of Perm Port joint-stock company by UK national Charles Batler.28 However, the courts rejected the claim based on the fact that FAS Russia missed the limitation period to file a lawsuit. The amendments to the Strategic Investments Law also make special provision in relation to the Republic of Crimea and the federal city of Sevastopol: foreign investors are required to disclose information about any holding of five per cent or more of shares (interests) constituting authorised capital of strategic companies incorporated in the Republic of Crimea or the federal city of Sevastopol within 90 days of the amendments coming into force. In addition to the existing fines for failure to comply with the requirement for foreign investors to file post-transaction notification of (1) their acquisition of 5 per cent or more of votes in the authorised capital of strategic companies, (2) the completion of pre-approved transactions and (3) holding 5 per cent or more of shares (interests) in strategic companies incorporated in Crimea or Sevastopol, the Strategic Investments Law will provide for the foreign investor to be deprived, through a court further to a claim by FAS Russia, of the right to vote at a general meeting of the company until the foreign investor properly fulfils the obligation to file a notification for consideration by the authority. The statutory period for consideration of the pre-transaction merger-control application by FAS Russia is 30 calendar days from the date of receipt of the application and the full set of documents attached thereto. The above term may be extended by an FAS Russia decision for up to two months for the submission of additionally requested documents. As such, the period for obtaining approval under the Strategic Investments Law is between two-and-a-half amd three months from the moment of submission of the application, and can be extended for up to three more months. It should be noted, though, that FAS Russia introduced a bill to amend the Fifth Antimonopoly Package, which provides for several initiatives regarding the possibility of extending the review period under the merger control procedure in certain cases (which is currently proposed to be quite significant in terms of time). These initiatives are described in more detail in Section VII. The Competition Law provides for an extension of the period to consider whether an application is to be approved in advance, in accordance with the Strategic Investments Law, prior to adoption of the decision with respect to the transaction in accordance with the Competition Law. Moreover, FAS Russia will refuse to clear a transaction in accordance with the Competition Law if the transaction is not approved in accordance with the Strategic Investments Law. The parties may also apply to FAS Russia to provide notice of a forthcoming transaction before submission of an application or subsequent notification (the pre-notification process). The parties may provide FAS Russia with the documents and information about the transaction and participate in developing remedies with a view to ensuring competition. The same provisions concerning remedies apply to strategic companies. Under the Strategic Investments Law, the Government Commission is entitled to initiate an expert assessment of the data, which are accessible by the applicant, as regards their pertinence to data constituting a state secret. In addition, for the purposes of establishing the fact of institution of control by a foreign investor or a group of persons over a company of strategic importance, as well as the fact that there is an agreement made by a foreign investor and third persons (concerted actions) aimed at instituting control over a company of strategic importance, operational units of the federal security service agencies are entitled to undertake operational search measures. The results of these operational search activities may be used for substantiation of claims made in court. According to the Foreign Investments Law, the legal regime for foreign investments is generally equal to that for the investment activities of national (local) investors to the extent particularly indicated in the federal laws. Restrictive exceptions to the foreign investments regime may be introduced only for protection of the constitutional fundamentals of morality, health and other rights of persons, or to ensure state security and defence. Foreign investors are fully protected against nationalisation or expropriation, unless such an action is mandated by the federal laws. In such cases, foreign investors are entitled to receive compensation for any investment and other losses. However, any affiliated and dependent companies of a commercial organisation with foreign investments shall not enjoy the legal protection, guarantees and privileges established by the Foreign Investments Law. acquire land plots, subsoil resources, buildings and other immovable property. The reasons for creating an SEZ range from development of manufacturing and high-technology industries to facilitation of tourism, creation of sanatorium resort areas, and improvement of port and transport infrastructure. For instance, the SEZ in Lipetsk is designated for the attraction of foreign investment in the production of finished metal products, machinery and equipment, vehicles, machines and components, and construction materials, while the SEZ in Alabuga stimulates foreign investment in motor vehicles and components, petrochemicals and construction materials production. Another of the Russian Federation's main aims in investment policy is currently increasing the investment appeal of the Russian Far East region. On 29 December 2014, the Federal Law 'On the territories of priority socio-economic development and other measures of state support for regions of the far east' was adopted. Under this law, the 'territories of priority socio-economic development' (Accelerated Zones) are the parts of the territories of the regions of the Russian Federation in which the special regime of carrying out business activity is established with the aim of attracting investment. This law became effective on 30 March 2015 and for three years from that date, Accelerated Zones could be created only in the territory of the Russian Far East, and in the territories of the 'monotowns' (those where the economy is dominated by a single industry or company), the list of which is established by order of the government.35 Now that this term has expired, Accelerated Zones may be created in the territories of all regions of the Russian Federationt. The Foreign Investment Advisory Council (FIAC). FIAC was established in 1994 as a result of the combined efforts of the Russian government and foreign businesses to improve the investment climate in Russia. The key task of FIAC is to assist in forging and promoting a favourable investment climate based on global expertise and the experience of international companies operating in Russia, with a focus on the crucial aspects of fostering a healthy investment climate. Within the defined form and structure of foreign investments legislation in Russia, which has been in existence for more than two decades, the legislators' priority now is specification of the rules and compliance with global best practices. Main aims are to make foreign investment easier, to limit administrative barriers and to guarantee a comprehensive and non-discriminatory approach to foreign investor initiatives. According to FAS Russia and the Government Commission, the number of applications on strategic clearance is constantly increasing. In 2014, 34 applications were considered by the Government Commission – the number grew to 44 in 2015,39 and during 2016, FAS Russia and the Government Commission considered 54 applications.40 The majority of applications were received from investors in Japan, the United States, Norway and Cyprus. By the end of the first quarter of 2018 (i.e., in the 10 years of enforcement of the Strategic Investments Law), the total number of applications that have been considered by the Government Commission is 229. The most important transactions recently approved by the Government Commission include clearance of the acquisition by Fortum of a minimum of 47 per cent of shares in Unipro, and the Siemens/Alstom transaction.41 In general, natural monopolies and natural resources, companies providing services in Russian seaports and those carrying out activities in the nuclear industry have been the most popular strategic businesses for foreign investors seeking to become established in Russia in recent years. FAS Russia has recently addressed the need to adapt existing market analysis and merger control procedures to the new market reality. This was triggered by a number of global transactions in innovative digital markets. FAS Russia concluded that the effects of big data and networks should also be regarded as a factor affecting market power. As a result, FAS Russia has introduced special remedies to prevent restriction of competition in that area. For example, in the Bayer/Monsanto case, FAS Russia applied a new method for analysing the effects of the transaction on the market, having stressed several times that the transaction had nothing to do with the markets where the parties had overlaps in Russia (as in 'traditional' approach) and even on a global scale, but that it was about knowledge, innovations, platforms, algorithms and technologies possessed by both companies, enabling them to influence the market conditions, create entry barriers to other participants and dictate terms for further development of the agro-industrial sector for future decades. To mitigate the identified concerns, FAS Russia decided to use a set of entirely new legal mechanisms, such as (1) transfering technologies instead of traditional behavioural or structural remedies and (2) instituting independent trustees to monitor the transfer of technologies and obligations imposed on the parties. Another example is the Uber/Yandex case, in which FAS Russia considered a transaction between two of the main taxi aggregators in Russia and issued a conditional decision. Although taxi aggregators do not provide transport services as such, they organise trips by connecting drivers with passengers, and have significant market power, owing to the number of drivers and users of their apps. Therefore, FAS Russia considered network effects42 as a market power factor relating to the two parties. the introduction of a 'finding of fact' initiative and hearings for merger control cases (currently used only in cases of competition law violations). Professional community and government officials are now actively debating the proposed amendments. There are no guarantees that they will all be adopted exactly in this form; however, it is presumed that the fundamentals will be preserved. It is also important to emphasise that FAS Russia intends to improve the quality of its decisions by conducting market analysis and more in-depth reviews of almost all transactions. This is only an internal initiative by FAS Russia, but it has already been observed in practice and could potentially affect the length of time taken for consideration of some transactions. 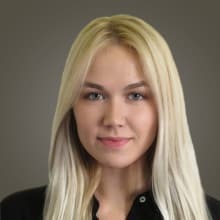 1 Vassily Rudomino is a senior partner, Ksenia Tarkhova and Ruslana Karimova are associates, Roman Vedernikov is a senior attorney and Anastasia Kayukova is an attorney at ALRUD. 2 Information from the official website of the Russian Federal Statistics Service, at www.gks.ru/. 3 Information from the official website of the Central Bank of the Russian Federation, at www.cbr.ru/statistics/?Prtid=svs. The Central Bank of the Russian Federation is currently responsible for analysis of the investment climate in Russia and for the preparation of statistics reports, instead of the Russian Federal Statistics Service. 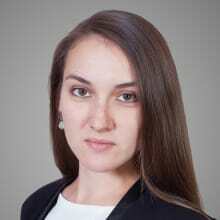 4 The Federal Law 'On foreign investments in the Russian Federation' No. 160-FZ, dated 9 July 1999. 5 The Federal Law 'On procedures for foreign investments in companies having strategic importance for the national security and defence' No. 57-FZ, dated 29 April 2008. 6 For instance, the Decree of the Government of the Russian Federation 'On approval of rules for preliminary approval of the transactions and coordination of establishment of control of foreign investors or a group of persons, including a foreign investor, over the business entities of strategic importance for the national security and defence' No. 838 dated 17 October 2009 and the Decree of the Government of the Russian Federation 'On approval of rules of submitting by a foreign investor or a group of persons, including a foreign investor, of information on transactions with shares (participatory shares) constituting the authorised capitals of the business entities of strategic importance for national security and defence' No. 795, dated 27 October 2008. 7 Federal Law No. 155-FZ on Amendments to Article 5 of the Federal Law on Privatisation of State and Municipal Property and the Federal Law on Procedures for Foreign Investments in Companies having Strategic Importance for National Security and Defence, dated 1 July 2017, published on 4 July 2017. 8 Federal Law No. 165-FZ on Amendments to Article 6 of the Federal Law on Foreign Investments in the Russian Federation and the Federal Law on Procedures for Foreign Investments in Companies having Strategic Importance for National Security and Defence, dated 18 July 2017. 9 Federal Law No. 122-FZ 'On amendment of some laws of the Russian Federation changing the definition of the “foreign investor”'. 10 Purchasing power parity (i.e., the exchange rate between two countries is equal to the ratio of the currencies' respective purchasing power). 11 BRICS is made up of Brazil, Russia, India, China and South Africa. 12 The Civil Code of the Russian Federation (Part One No. 51-FZ, dated 30 November 1994, Part Two No. 14-FZ, dated 26 January 1996, Part Three No. 146-FZ, dated 26 November 2001 and Part Four No. 230-FZ, dated 18 December 2006). 13 Federal Law No. 14-FZ, dated 8 February 1998. 14 Federal Law No. 208-FZ, dated 26 December 1995. 15 Federal Law No. 129-FZ, dated 8 August 2001. 16 Federal Law No. 39-FZ, dated 22 April 1996. 17 Federal Law No. 135-FZ, dated 26 July 2006. 18 Federal Law No. 395-I, dated 2 December 1990. 19 Law No. 4015-1, dated 27 November 1992. 20 Federal Law No. 7-FZ, dated 12 January 1996. 21 Decree of the Government of the Russian Federation No. 510, dated 6 July 2008. 22 The Federal Law 'On natural monopolies' No. 147-FZ, dated 17 August 1995. 23 The Federal Law 'On amendments to the Federal Law “On protection of competition” and separate legal acts of the Russian Federation' No. 275-FZ, dated 5 October 2015. 24 Clarifications of the Federal Antimonopoly Service (FAS Russia), dated 8 August 2013. 25 The Federal Law 'On amendments to the Federal Law “On protection of competition” and separate legal acts of the Russian Federation' No. 264-FZ, dated 3 July 2016. 27 The Decree of the Government of the Russian Federation 'On amendments to section 9 of the Regulation on the Government Commission executing control over foreign investment in the Russian Federation' No. 46, dated 30 January 2016. 29 The Federal Law No. 116-FZ 'On Special Economic Zones in the Russian Federation', dated 22 July 2005. 30 The official website of the Ministry of Economic Development of the Russian Federation – http://economy.gov.ru/minec/about/structure/deposobeczone/2018290632. 31 Business Navigator: Russian Special Economic Zones, 2017 – http://admin.ved.gov.ru/uploads/Business%20Navigator%20(1).pdf. 32 The Federal Law 'On the development of Crimean Federal District and Free Economic Zone on the territory of the Republic of Crimea and city of federal significance Sevastopol' No. 377-FZ, dated 29 November 2014. 33 The Federal Law 'On regional development zones in the Russian Federation and amendments to the separate legal acts of the Russian Federation' No. 392-FZ, dated 3 December 2011. 34 The Decree of the Government 'On establishment of the list of the regions of the Russian Federation on the territories of which creation of regional development zones is authorised' No. 326, dated 10 April 2013. 35 The Order of the Government 'On establishment of the list of monotowns' No. 1398-r, dated 29 July 2014. 39 FAS press release, 5 February 2016, 'The number of petitions filed by foreign investors is going up', http://en.fas.gov.ru/press-center/news/detail.html?id=44615. 40 FAS press release, 12 January 2017, 'FAS summed up the results of its work with foreign investors', http://en.fas.gov.ru/press-center/news/detail.html?id=48533. 41 Translation of the briefing by the Head of the FAS (Igor Artemiev) after the meeting of the Government Commission for Control over Foreign Investments – http://en.fas.gov.ru/press-center/news/detail.html?id=52981. 42 It is proposed to define network effects as 'dependence of customer value of the product on (i) a number of network users (direct network effects), or (ii) increase of customer value for one network group, in the case of increase of a number of network users of another network group and vice versa (indirect network effects/network externalities)'. 43 Only in the case of an extraordinary prolongation of the review period with the consent of the government. 44 Preliminary conditions are imposed by FAS Russia and should be fulfilled before clearance. 45 The concept has already been tested by FAS Russia when considering the Bayer/Monsanto transaction, in which the National Research University Higher School of Economics was appointed to monitor implementation of the remedies imposed by FAS Russia.